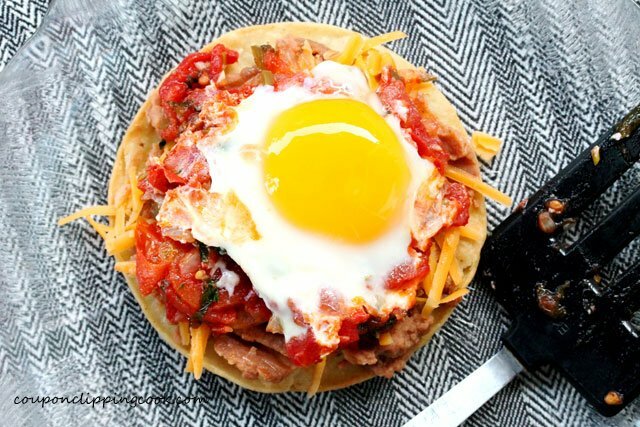 A homemade breakfast that’s every bit as good if not better than at a restaurant. If it were up to me, any time is the right time for Mexican food. My favorite part about Mexican food are the crispy tortillas. 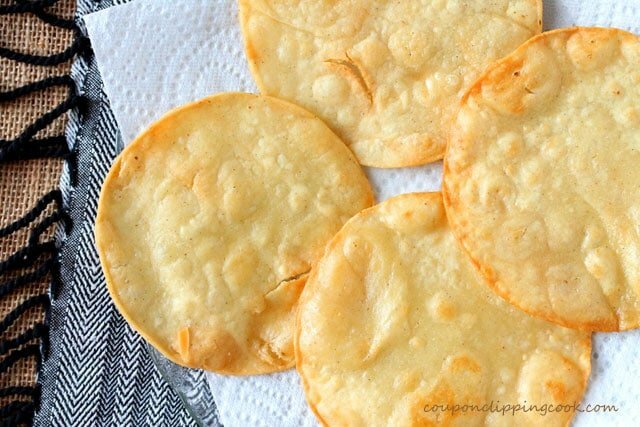 Crispy tortillas are super easy to make and can really make a recipe taste like something out of a really good Mexican restaurant. 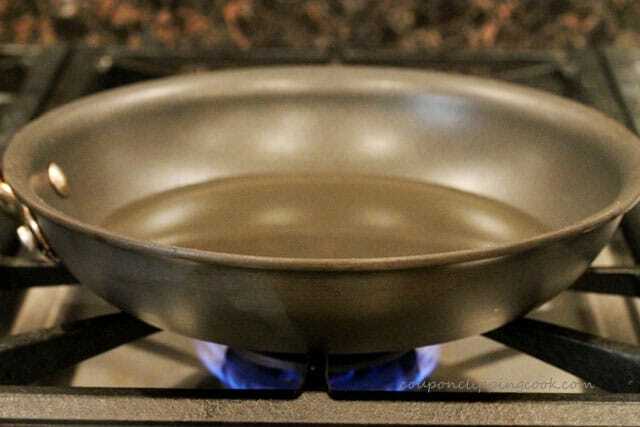 I almost always have a small skillet on the stove with canola oil in it because I make Mexican food so often. 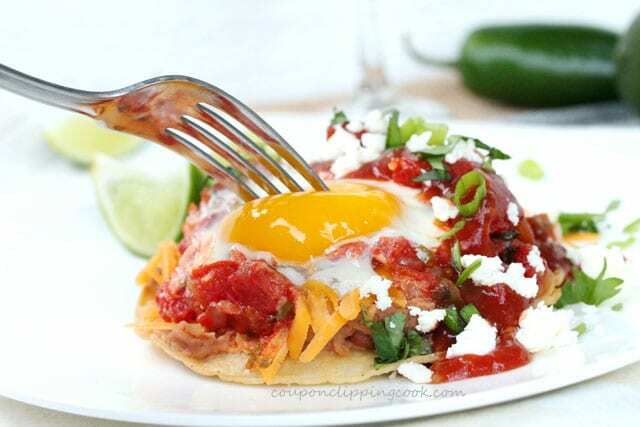 This huevos rancheros recipe is delicious and the egg can be cooked however you would like it. 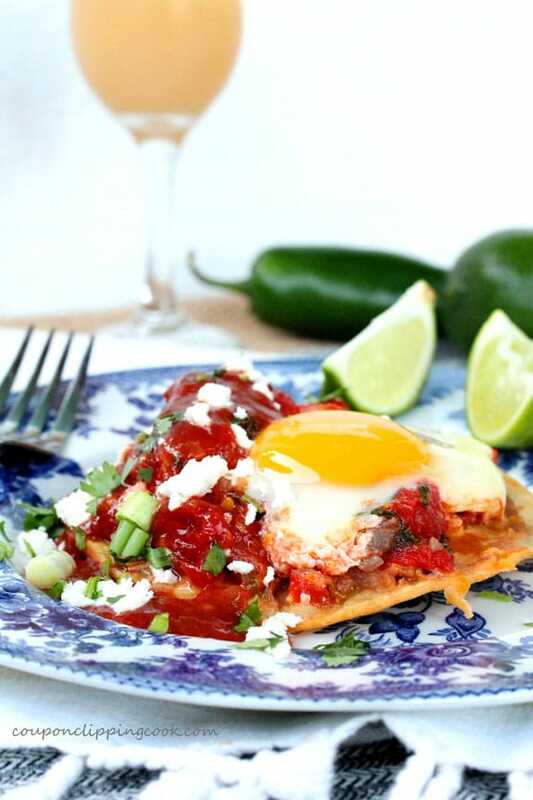 In this recipe the egg is cooked over easy but it can also be cooked over hard if preferred. 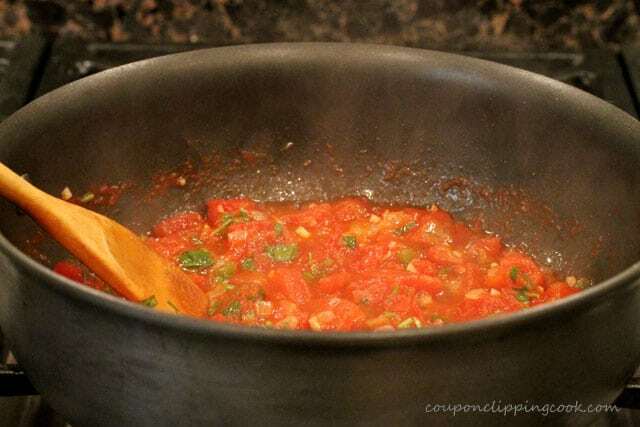 It’s made with a quick and easy warm salsa but if you’re in a pinch for time, your favorite prepared salsa can be used instead. This is a great dish to make for dinner too. 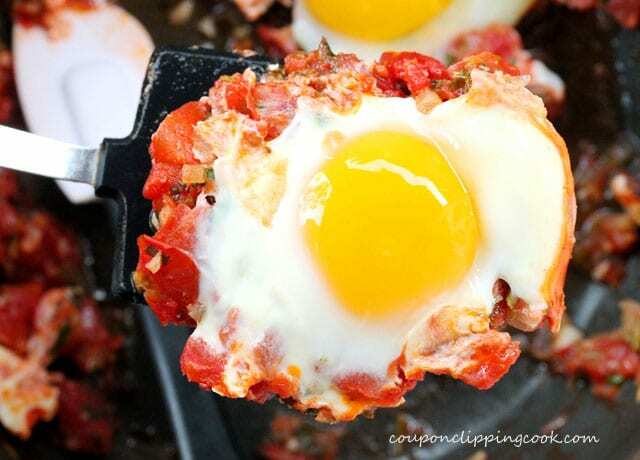 Perfect for one of those breakfast-for-dinner meals. 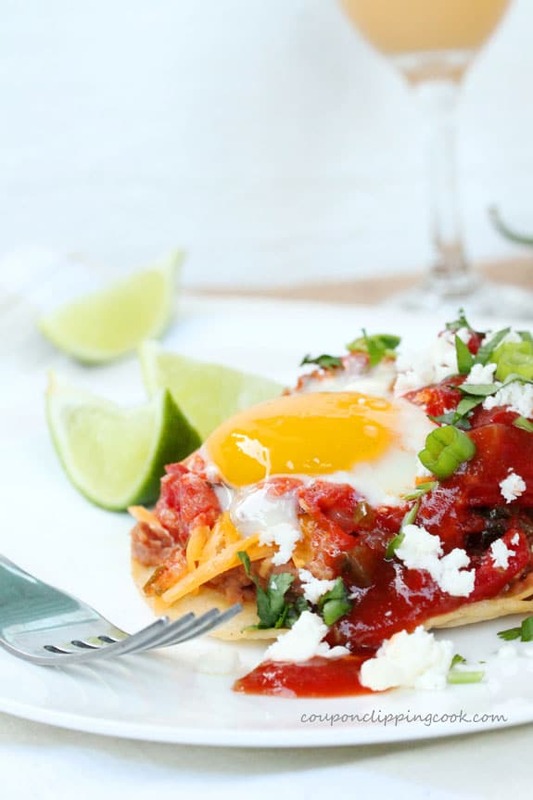 So here’s to Mexican food for breakfast, lunch, and dinner. 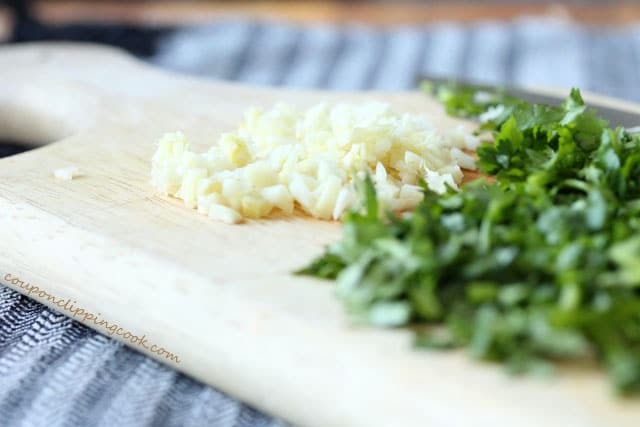 …garlic and cilantro. Set aside for a moment. 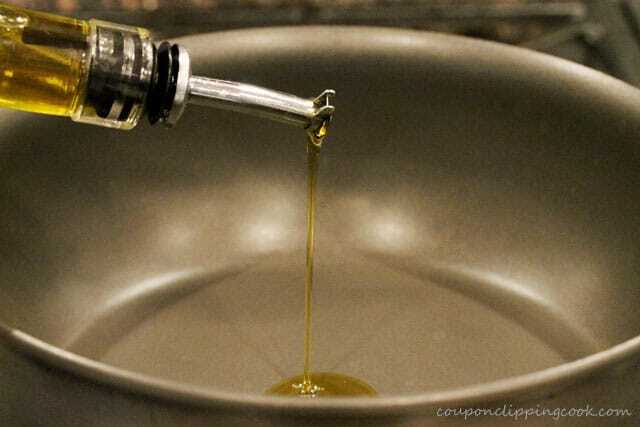 Heat a large pan on medium heat and add the olive oil. 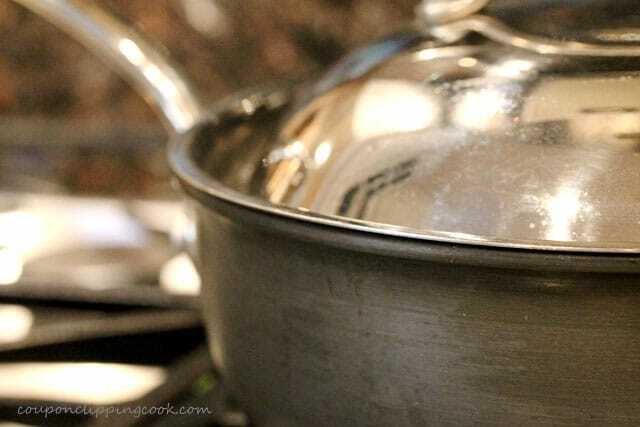 and put a lid on the pan. 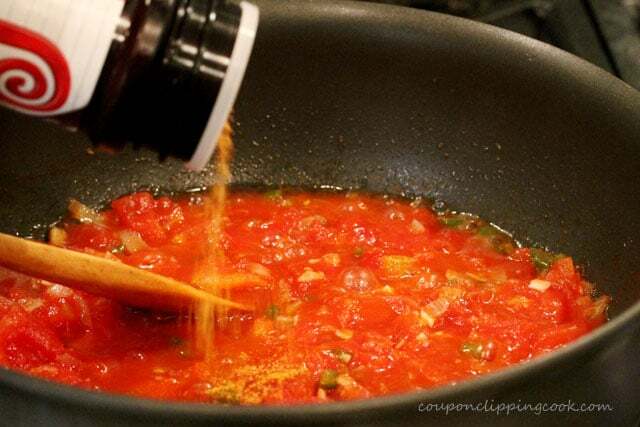 Let the mixture cook until the eggs are at their desired doneness. 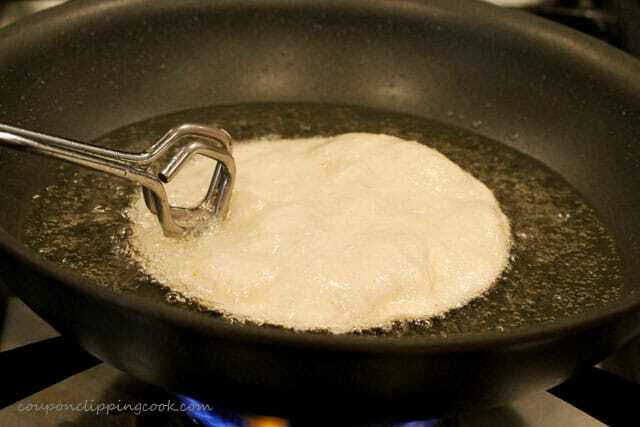 The eggs can also be fried in a separate skillet with a little butter if preferred. Heat a medium size pan on medium heat and add the oil. 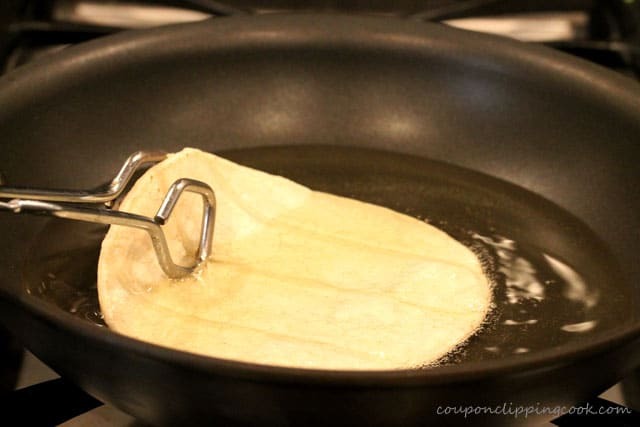 Once the oil is hot, add a tortilla to the pan. Turn the tortilla over when the bottom is a golden color. 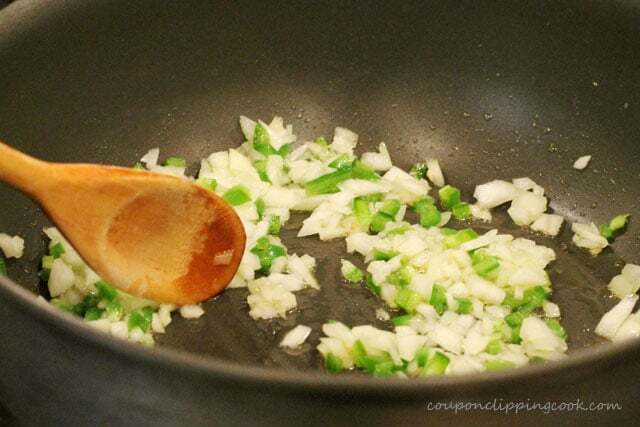 Let cook until both sides are crispy (about 3 minutes). 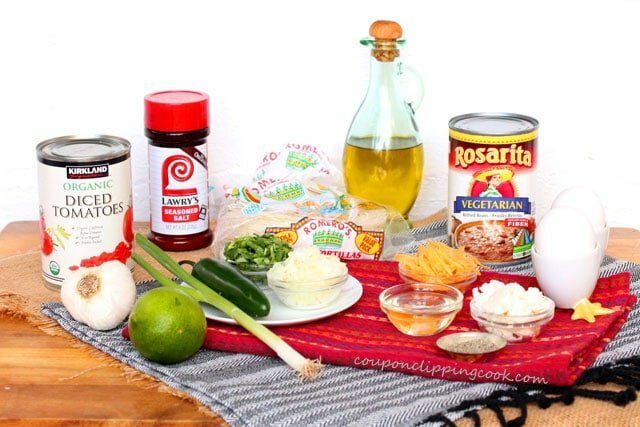 Transfer the tortillas to a paper-lined plate. 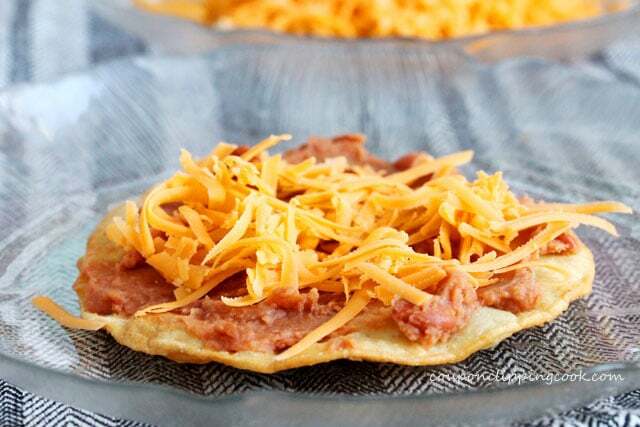 Warm up the refried beans on the stovetop or microwave and spread them on top of the tortilla. 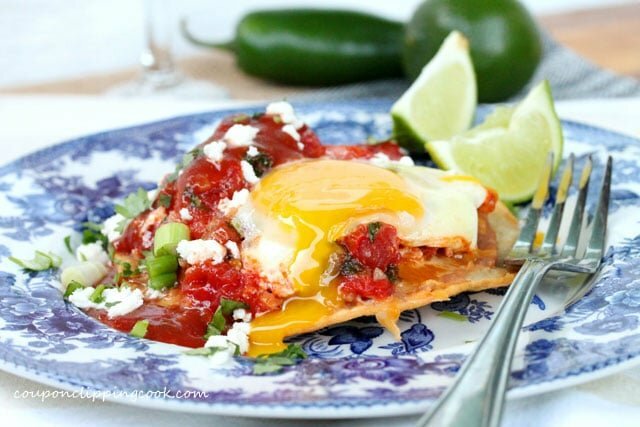 and then top with a fried egg and the warm salsa. Top with the remaining salsa from the pan, green onion, and crumbled queso fresco cheese. 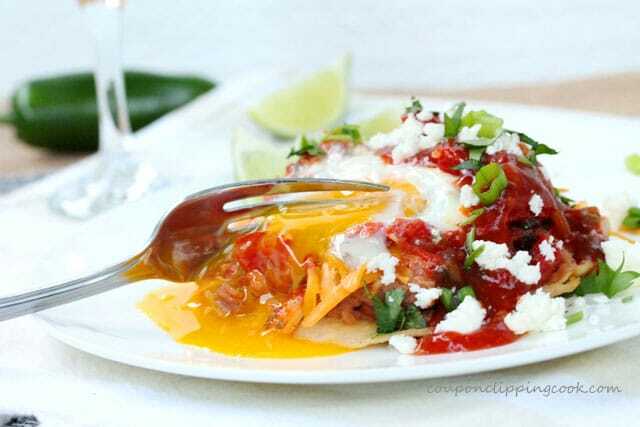 A homemade breakfast that's every bit as good if not better than at a restaurant! Heat a large pan on medium heat and add the olive oil. 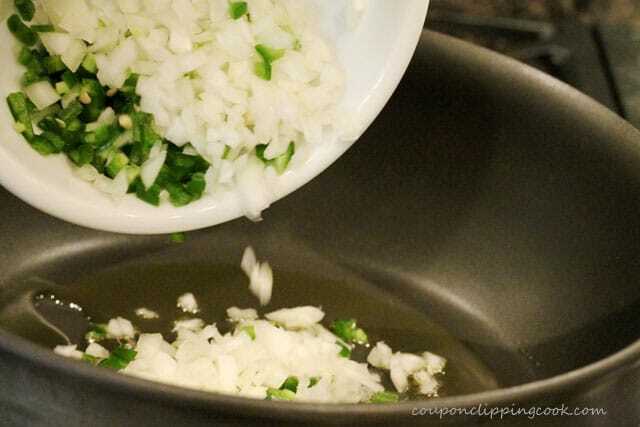 Add the jalapeno and onion and stir. 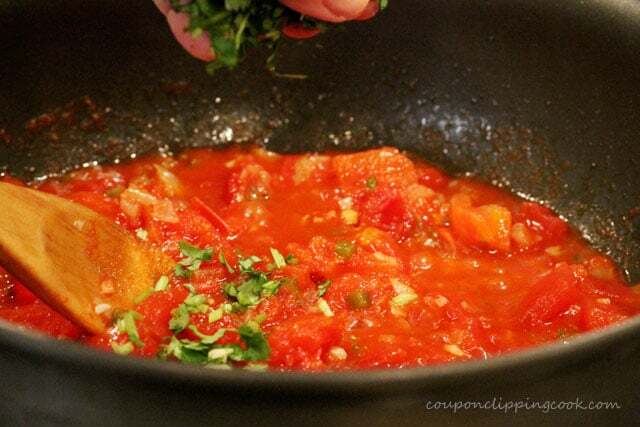 Add the garlic, canned tomatoes, seasoned salt, cilantro and stir. 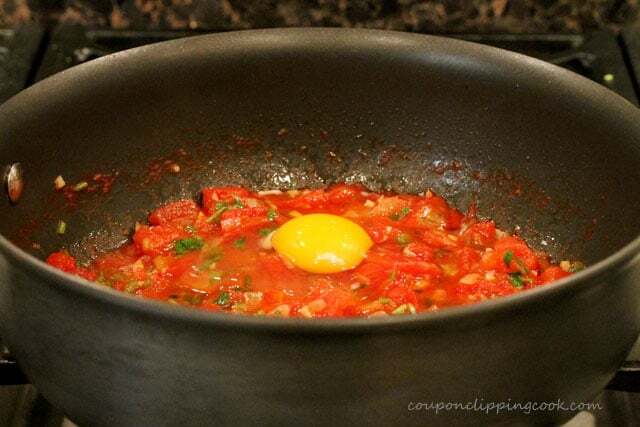 When the salsa is hot, add the eggs on top and cover the pan with a lid. 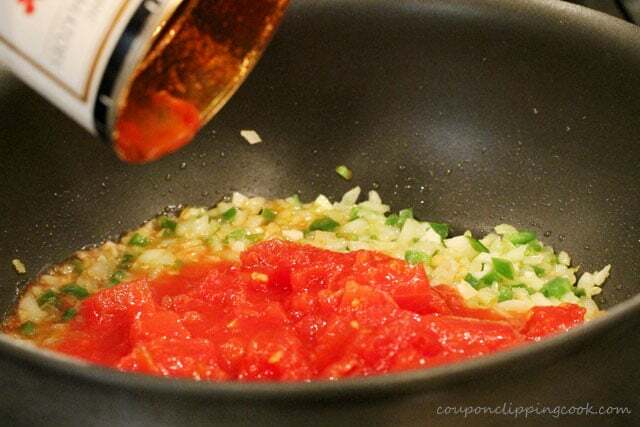 Let cook until the eggs are at their desired doneness. 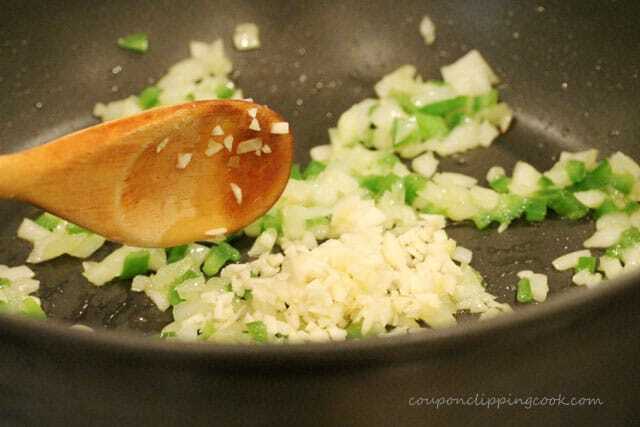 The eggs can also be fried in a separate skillet with a little butter if preferred. Heat a medium size pan on medium heat and add the oil. 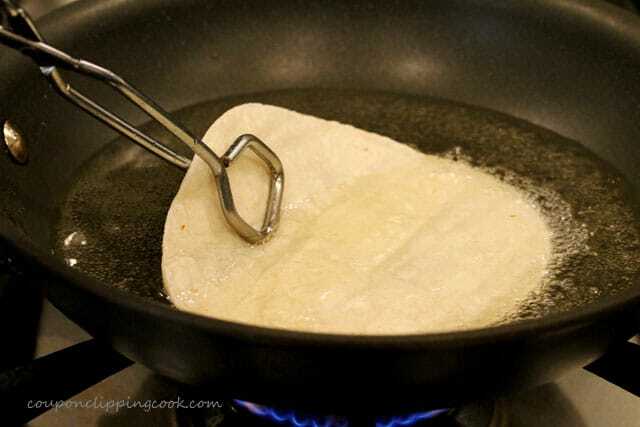 Once the oil is hot, add a tortilla to the pan. Turn the tortilla over when the bottom is a golden color. Let cook until both sides are crispy (about 3 minutes in total). Transfer the tortillas to a paper-lined plate. 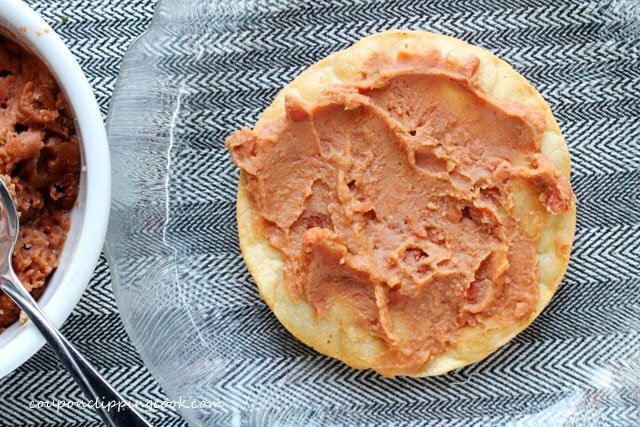 Spread warm refried beans on top of the tortilla. 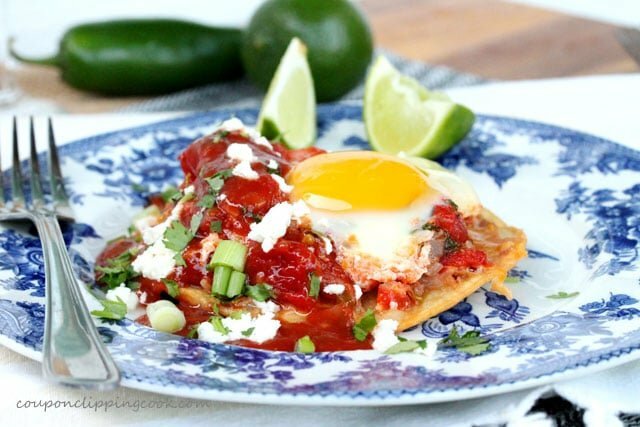 Add the cheese and top with a cooked egg and warm salsa. Top with the remaining salsa from the pan, green onion, and crumbled queso fresco cheese. 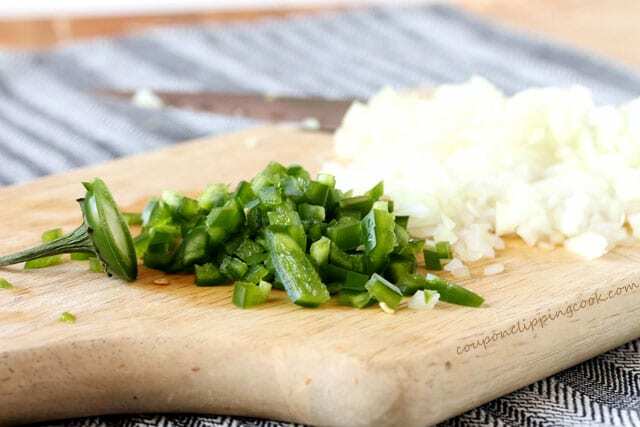 Serve with lime.